My name’s Alan and I’m sharing this story with you in response to the common question, do I really need travel insurance? As I discovered first-hand, travel cover is a must for everyone. My Christmas holiday included a week skiing near Aosta, Italy. There I was, having a great time, when I slipped and broke my back while halfway up the mountain. First there was Police Rescue. As I lay on my back in the snow, they wanted confirmation that I could pay €200 to get me down the mountain. They got me down to a mid-way point then called in a helicopter – another €10,000 or so. Half an hour or so later, a huge chopper arrived with two pilots and four paramedics. As they loaded me on board, one of them slipped and nearly dropped me. After they had clipped me in place on the floor, someone closed the door – on my head, which rather spoiled the image of efficiency; but perhaps I am longer than some passengers. We landed at Aosta and transferred to an ambulance for the short trip to hospital. An Italian ambulance is a small modified Fiat van. You feel every pebble! X rays followed, with lots of waiting in corridors and waiting rooms. I became an expert in ceiling tiles. I was transferred to an orthopaedic ward, but nothing much happened for the rest of the day, except I contacted our travel insurer. The next day, still nothing seemed to be happening. I was told that in a day or so I would have a CAT Scan from which they would determine whether I needed surgery or some form of body harness, but the insurer, Chubb, had been busy. I was suddenly taken down to the CAT Scan machine, and in the same afternoon fitted with an Exoskeleton. Metal man! I think the hospital was being slow until they knew I could pay. I don’t think it can be emphasised enough how difficult it is when you are not feeling the best, and stuck in a hospital where basically no one speaks your language. Chubb were excellent in obtaining for me, via their Italian agents, complete updated medical information. Meanwhile, my wife had transferred from Milan (she thought the shopping there would be more exciting than the skiing – little did she know!). The hospital seemed to think I needed a stretcher for the trip home. This would have meant booking 11 economy class seats; eight for the stretcher, two for the stretcher bearers and one for Gwynn. It also required a wait of around 10 days to organise. Being strapped to a stretcher for the 30-hour trip back to New Zealand didn’t appeal. The insurer’s preferred option (and mine) was a lie-flat business class seat. To qualify, however, I had to be able to sit up for the take-offs and landings. I immediately started practising sitting up, which was not easy and very painful. Drive 200km north to Geneva. Fly to Sydney via Dubai. Overnight in Sydney because the plane came in late at night, then fly to Wellington the next day. On all flights I had to be able to lie flat, and my wife had to inject me with anticoagulants to avoid a DVT situation. It all worked extremely well with just one possible exception. We had forgotten that any Italian is automatically a Formula 1 prospect. I did have to mention to our driver that the speed he was going around bends hurt. Apart from anything else, 130kph in the snow and at minus 5 degrees seemed a bit hasty! Anyway, thanks Aosta Hospital, and Chubb for getting me home. Do I really need travel insurance, eh? We refer our customers seeking travel insurance to 1cover, an award-winning travel insurance company. 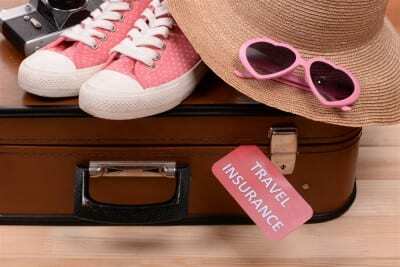 If you’re going on an overseas holiday, 1cover will look after all your travel insurance needs and questions. They even have a policy to cover winter sports activities, if, like Alan, you plan to hit the slopes when you’re abroad. Talk to 1cover about getting the best travel insurance for you and your loved ones.